Gramercy Theater, NYC, 11.12.2014 – Photos of former guitarist of The Smiths on his current solo tour at Gramercy Theater on November 12, 2014. The Woodlands, Dover, DE, 6.20.2014 – Photos of Jack Antonoff’s band Bleachers on Day 2 at Firefly Music Festival on June 20, 2014. The Woodlands, Dover, DE, 6.20.2014 – Photos of Alt Rock band New Politics on Day 2 of Firefly Music Festival in Dover, DE on June 20, 2014. Dover, DE, 6.21.2014 – Photos of Twentyone Pilots on Day 3 of Firefly Music Festival in Dover, DE on June 21, 2014. The Woodlands, Dover, DE, 6.20.2014 – Photos of Alt Rock band Young the Giant at Firefly Music Festival in Dover, DE on June 20, 2014. Terminal 5, NYC, 5.6.2014 – Photos of Alt Rock band Cage the Elephant co-headlining with Foals at Terminal 5 in New York City on May 6, 2014. Starland Ballroom, Sayerville, NJ, 4.30.14 – Photos of Twentyone Pilots sold-out concert at Starland Ballroom on April 30, 2014. Terminal 5, NYC, 3.26.2014 – Photos of night 1 of Grouplove’s 2 sold-out nights at Terminal 5 in New York City on March 26, 2014. Izod Center, East Rutherford, NJ 3.8.2014 – Imagine Dragons played a sold out Izod Center in continuation of their torrid touring schedule over the past 2 years on March 8, 2014. Music Hall of Williamsburg, Brooklyn, NY, 3.17.2014 – Photos of Foster the People hosting their record release party at Music Hall of Williamsburg that was live broadcast on Sirius XM on March 17, 2014. Hammerstein Ballroom, NYC, 2.28.2014 – Photos of Young the Giant at the Hammerstein Ballroom at Manhattan Center on February 28, 2014. Roseland Ballroom, NYC, 1.31.2014 – The Black Keys played one of the final gigs at the historic Roseland Ballroom as part of the Citi Evening with Legends during Super Bowl week on January 31, 2014. Barclays Center, Brooklyn, NY, 2.1.2014 – Photos of New Politics opening for Red Hot Chili Peppers at the WFAN Welcome to Brooklyn concert at Barclays Center on February 1, 2014. Barclays Center, Brooklyn, NY, 2.1.2014 – Photos of Red Hot Chili Peppers headlining the WFAN ‘Welcome to Brooklyn’ concert at Barclays Center on February 1, 2014. The McKittrick Hotel, NYC, 1.30.2014 – Photos of American rock band Band of Horses playing The McKittrick Hotel as part of the Citi Evening with Legends on January 30, 2014. The Wellmont Theater, Montclair, NJ, 11.9.2013 – Live music photos of Third Eye Blind at The Wellmont Theater on November 9, 2013. Barclays Center, Brooklyn, NY, 9.6.2013 – Photos of Depeche Mode’s Delta Machine tour at Barclays Center on September 6, 2013. Forest Hills Stadium, Queens, NY, August 28, 2013 – Photos of The Vaccines opening for Mumford and Sons at Forest Hills Stadium on August 28, 2013. Forest Hills Stadium, Queens, NY, 8.28, 2013 – Photos of Mumford and Sons at Forest Hills Stadium for the first show in more than 16 years, and on the anniversary of The Beatles and Bob Dylan playing the historic venue, in Queens, NY on August 28, 2013. The Capitol Theatre, Port Chester, NY, 8.5.2013 – Photos of The Silversun Pickups at The Capitol Theatre in Port Chester, NY on August 5, 2013. Hudson River Park, Pier 26, July 23, 2013 – Live music photos of the band Fun.”Most Nights” tour at Hudson River Park Pier 26 on July 23, 2013. Firefly Music Festival, Dover, DE, June 23, 2013 – Photos from Foster the People closing Firefly Music Festival on June 23, 2013. If you like what you see here, or found some of the information I provided useful, I would appreciate you help support my site through my affiliate link with Amazon and Adorama. You get the same exact prices, and in return I get a small credit if you buy something. Just click through the included link anytime you want to use Amazon to buy something. As a bargain hunter, Amazon consistently has the best prices on just about anything. 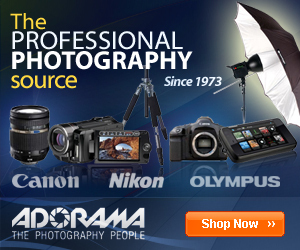 Adorama is one of the top photography sites and stores in the US. Check them out. I am a NYC-area based photographer specializing in live music, events and portraiture. I am available for opportunities worldwide. Please use the contact link to inquire about rates and availability.